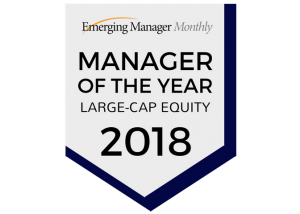 Englewood, CO, April 11, 2018 – Wakefield Asset Management, LLLP has been named Large Cap Manager of the Year for the 12th Annual Emerging Manager Awards by Emerging Manager Monthly. 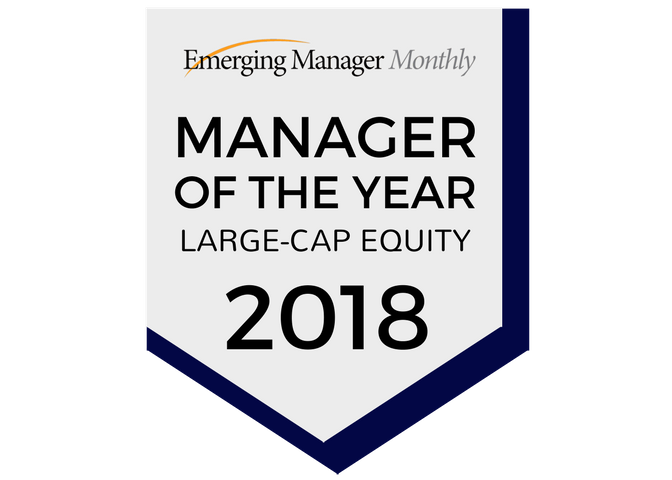 The award recognizes the Wakefield Large Cap Equity portfolio as the top strategy in the Large Cap Equity category based on outstanding performance and growth. “Winning the Manager of the Year award is an honor and, importantly, a meaningful acknowledgement of the success our clients have experienced since our inception. While we are proud of what we have accomplished, we are even more focused on continuing that level of achievement in the future,” said G. Todd Gervasini, Chief Investment Officer and Managing Partner of Wakefield Asset Management, LLLP. The winners were chosen by compiling the votes from a highly-respected pool of industry experts that consisted of Candace Ronan, Global Equity Portfolio manager for the California State Teachers Retirement System; Kirk Sims, Investment Officer for the Teachers Retirement System of Illinois; Natalie Jenkins Sorrell, Deputy CIO of the Dallas Employees Retirement Fund; Alli Wallace, Principal at Meketa Investment Group; and Rosa Vasquez, Investment Officer for the Illinois Municipal Retirement Fund. Each winner competed with two other finalists in their category. Finalists were selected using a quantitative screening process utilizing data from PSN Informa. In all, 389 products were considered for the awards. Inclusion of any firm in the Annual Emerging Manager Awards does not constitute a recommendation to make, hold or seek an investment in any fund. Nor does exclusion of any firm in the Annual Emerging Manager Awards constitute a recommendation to make, hold or seek redemption in any fund. Emerging Manager Monthly compiled information from PSN Informa to determine finalists of the Emerging Manager Awards. The information used is deemed to be accurate and reliable. Emerging Manager Monthly nor PSN Informa assume no liability for errors, omissions or inaccuracies in the information.